Shares of public sector banks (PSBs) were trading higher for the third straight day after rating agencies upgraded the ratings of the select banks on improvement in their solvency following government's capital infusion. The State Bank of India (SBI), Bank of Baroda, Punjab National Bank (PNB), Bank of India, Union Bank of India, Andhra Bank, Oriental Bank of Commerce (OBC), Indian Bank, Canara Bank, Corporation Bank, Central Bank of India (CBI) and Allahabad Bank were up in the range of 1 to 3 per cent on the National Stock Exchange (NSE) in an otherwise subdued market. At 10:09 am, the Nifty PSU Bank index, the largest gainer among sectoral indices, was up 1 per cent, as compared to 0.02 per cent decline in the Nifty 50 index. In past three days, the PSU Bank index has outperformed the market by gaining 3 per cent against 1 per cent rise in the benchmark index. In past one month, the Nifty PSU Bank index has rallied 17 per cent as compared to 8 per cent gain in the Nifty 50 index in the same period. Rating agency ICRA on Thursday revised upwards its outlook on four banks, including the Bank of India, PNB and OBC to stable from negative. However, the outlook of Punjab & Sind Bank was revised downwards to negative from stable. Outlook of four banks -- Bank of India, PNB, OBC and Bank of Maharashtra -- revised to stable from negative, ICRA said in a statement. 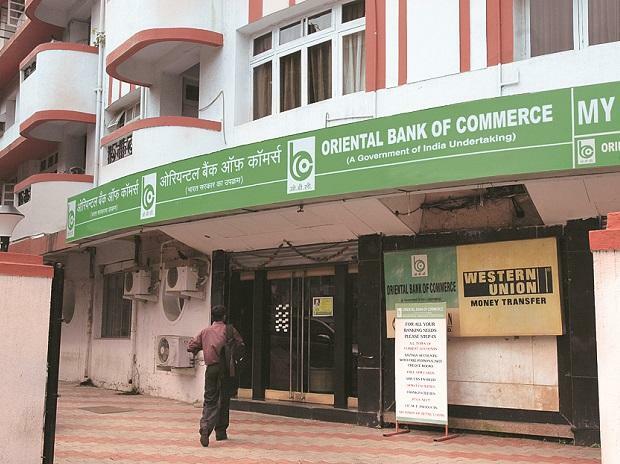 Three of these banks -- Bank of India, OBC and Bank of Maharashtra -- recently came out from weak-bank watch list of the Reserve Bank of India (RBI). Following infusion of capital in these banks, their financial health improved leading the RBI to remove them from the Prompt Corrective Action (PCA). Earlier, global agency Moody’s had upgraded the rating for long-term foreign currency deposits raised by CBI and Indian Overseas Bank (IOB) from “Ba3” to “Ba2”. Moody's has also upgraded their Baseline Credit Assessment (BCA) to “b2” from “b3”. In the case of the Bank of India, Canara Bank, OBC and Union Bank, Moody's has affirmed their local and foreign currency deposit ratings at Baa3/P-3, Moody’s said in a statement. The rating upgrade reflects improved solvency of the banks, following the capital infusion from the government. Among the individual stocks, OBC hit a 52-week high of Rs 106, up 2.5 per cent, surging 31 per cent in past one month on the NSE. PNB touched seven-month high of Rs 89.35, up 3 per cent, gaining 28 per cent during the period.